When I was very young, around eight or nine, I’d often travel to Brigus with my parents. 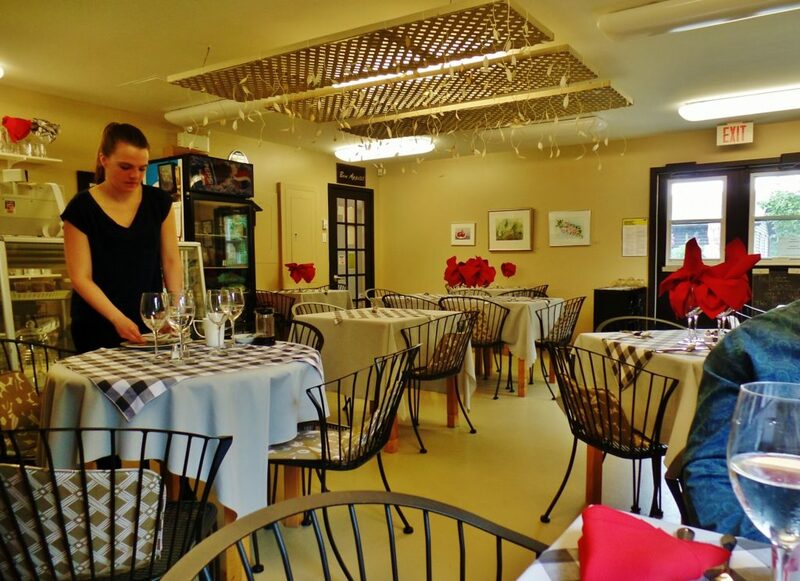 Sometimes we’d visit the Brigus Tea Rooms, run by ladies who served Red Rose tea, pastries and cold plates. My tea room visits formed an enduring impression. Since then I’ve left a long trail of tea rooms behind me. All of them had one thing in common (apart from tea), the elements, tangible and intangible, that produce the kind of human comfort born of the cherished familiar. 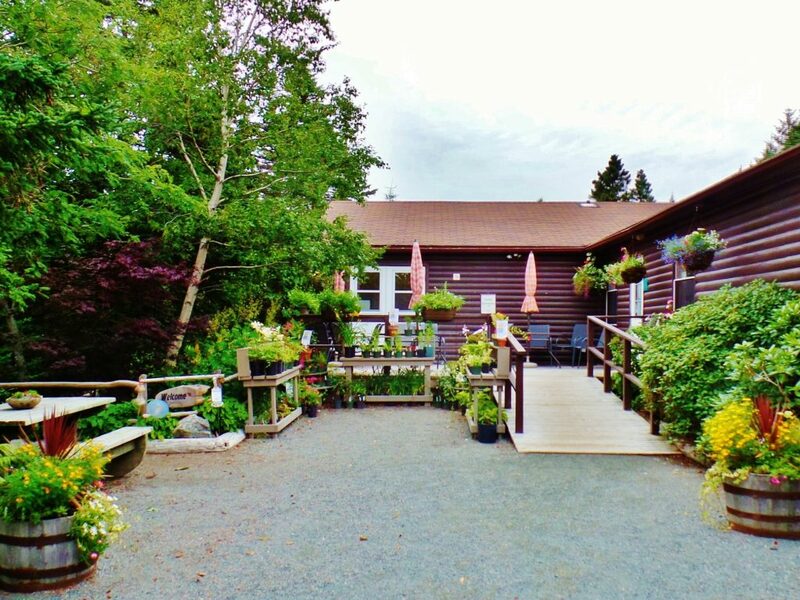 MUN Botanical Garden has a small room called Garden Café, owned and operated for the past six years by Karen Power. After you’ve taken in the herbaceous border with its annuals, biennials and perennials head straight for the park’s public entrance. Look to your left and you’ll see a set of white double doors with patio tables nearby. That’s the café. There’s no signage other than an arrow pointing to the public entrance to the gardens. Garden Café has windows but unfortunately they only provide a very close-up view of shrubs and forest. In order to appreciate the full beauty of the park you’ll need to do a tour (and perhaps dine or have a cuppa in the café afterward). Despite the limited window views, the walls of the café are filled with paintings of park plants and flowers. Talented local amateurs have been painting in the MUN Botanical Garden for decades. You can take in the artwork while you’re soaking up the new age music drifting out of the sound system. Since this was a lunch visit I started with wine (tea and scones came after). Cabernet and Sauvignon Blanc were offered. Starters could be either soup or salads. The “soup of the day” was curried butternut squash. 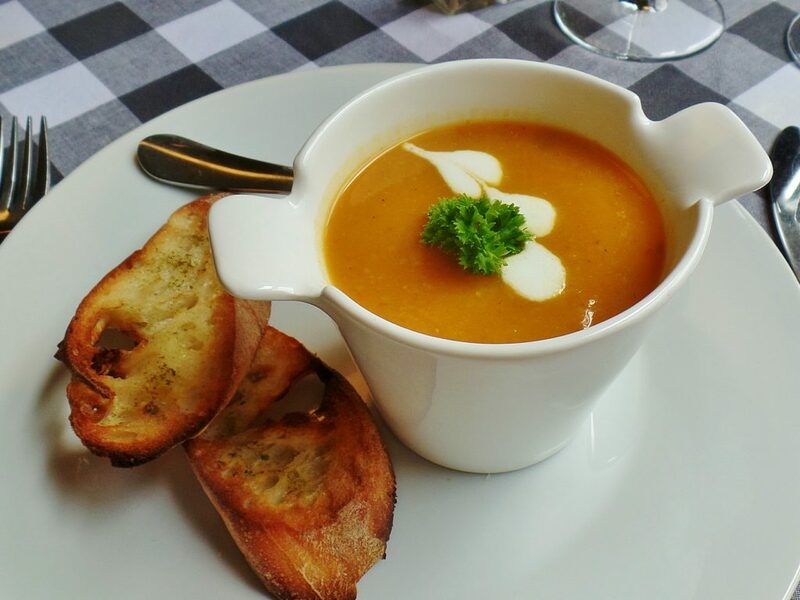 Droplets of cream and a sprig of fresh curly parsley decorated the deep orange coloured soup, served with slices of toasted and buttered baguette. Forward squash flavour with a suggestion of curry and garlic describes the taste of the soup. It was very hot too, but not spicy hot. Vegetarian flatbread pizza came full of eye-popping colour: red sauce, tomato, green and bright yellow peppers and basil. A mandarin salad of mixed greens, pine nuts, mandarin sections and red onion finished the plate. 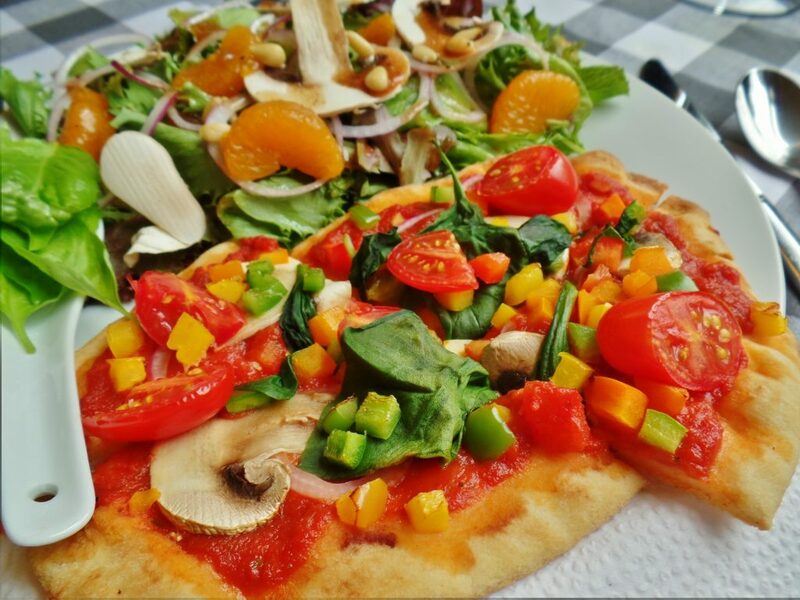 Together, pizza and salad looked like a cheerful poster for arable farming. But posters only allow for imagining how something might taste. I bit into the real thing and it was delicious. I ordered something called Baked Ham Delight. It was an open-faced sandwich with a spoonful of grainy mustard (excellent condiment) and leafy salad to the side. 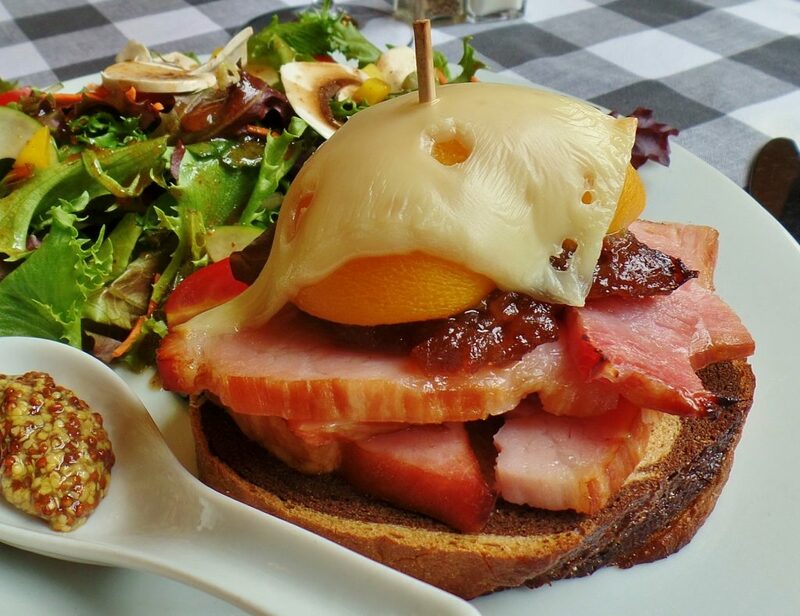 Thick slices of pink ham, chutney, a peach half and melted Swiss cheese topped a slice of marbled rye bread. Apart from the bread being a tad hard, and awkwardly difficult to cut through, it was an excellent sandwich. 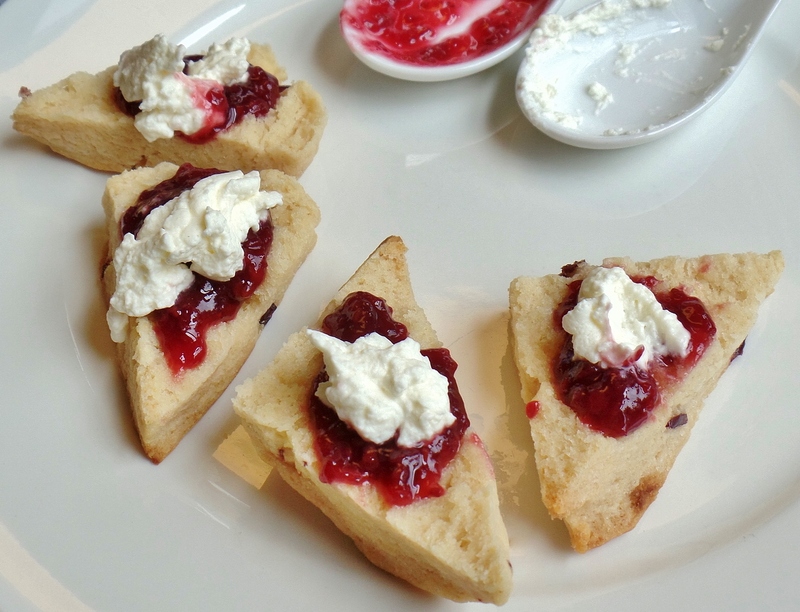 Then came scones, cream and jam. 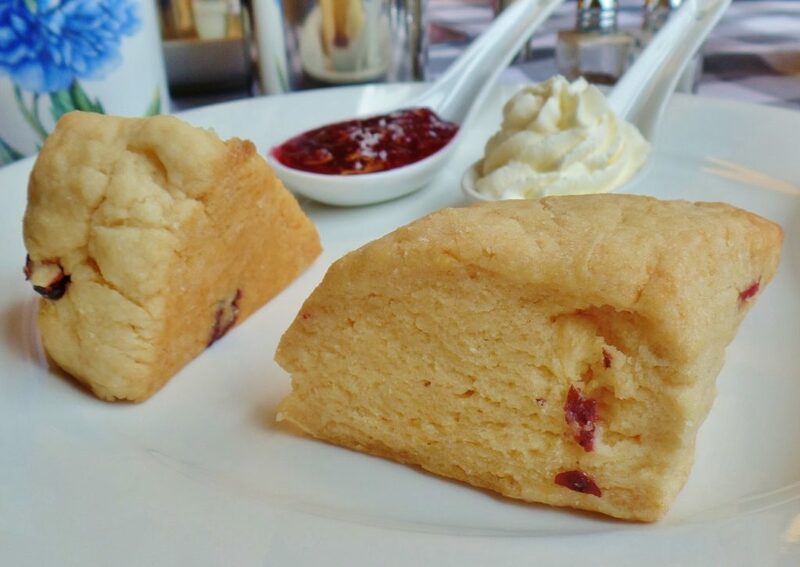 A little heavier (denser) than English scones, the triangular treats became even better when covered in strawberry jam and fresh whipped cream. The requisite pot of tea was far more palatable than most I’ve been served lately. Maybe the park setting had something to do with my tea tasting better. Even though we weren’t outdoors, we had been enjoying the garden’s plants and flowers beforehand. We sat inside looking through windows at the trees and greenery surrounding the building. It had a calming effect. I don’t doubt it stimulated the appetite and helped with digestion as well. If you’re looking for a prescription for temporary contentment, I recommend a leisurely tour through the MUN Botanical Garden and an equally leisurely lunch at the Garden Café. Price Lunch for two with appetizers, wine, tax and tip costs approximately $60. Ambiance Like a cosy, rural tea shop. Open Until August 31: Daily from 11 a.m. to 4 p.m. September 1 to October 3: Tuesday to Saturday from 11 a.m. to 2 p.m. Parking MUN Botanical Garden parking lot. Beverages Garden Café has a selection of local bottled beers and red and white house wine is available by the glass (6oz pour) for $6.95. 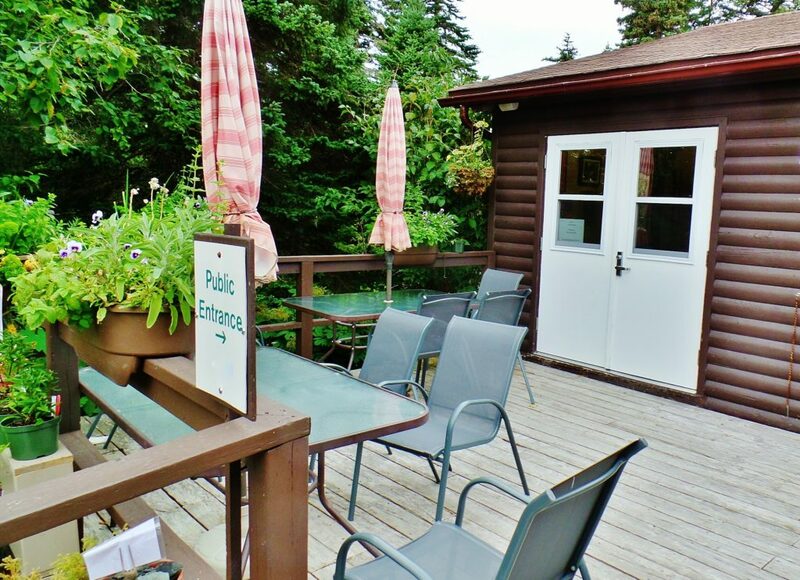 Wheelchair access Garden Café is accessible with assistance. Restrooms have no grab bars.